This page will provide information as available about Phase 2 of the J. A. and Kathryn Albertson Family Foundation Boise Whitewater Park. 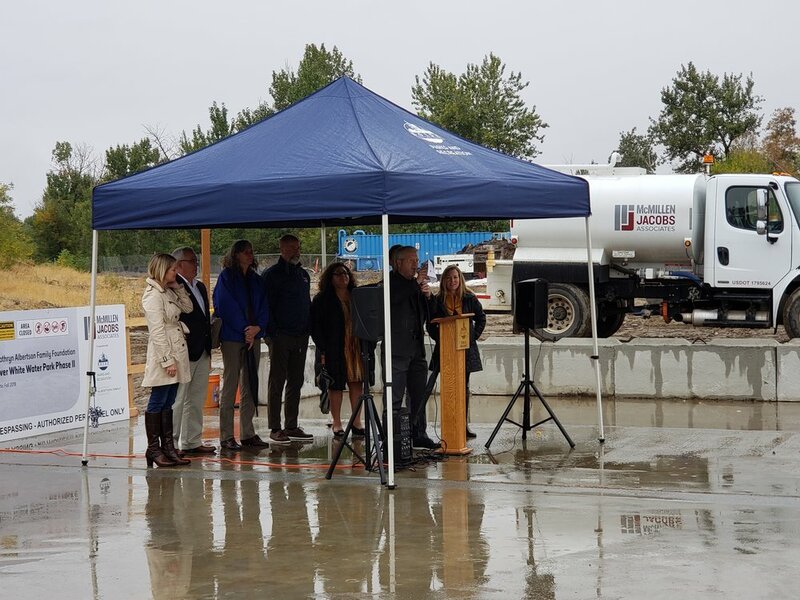 Construction sequencing overview and work activity for Phase 2, as of October 1, 2018 is available via Boise City Parks and Recreation or by clicking here. 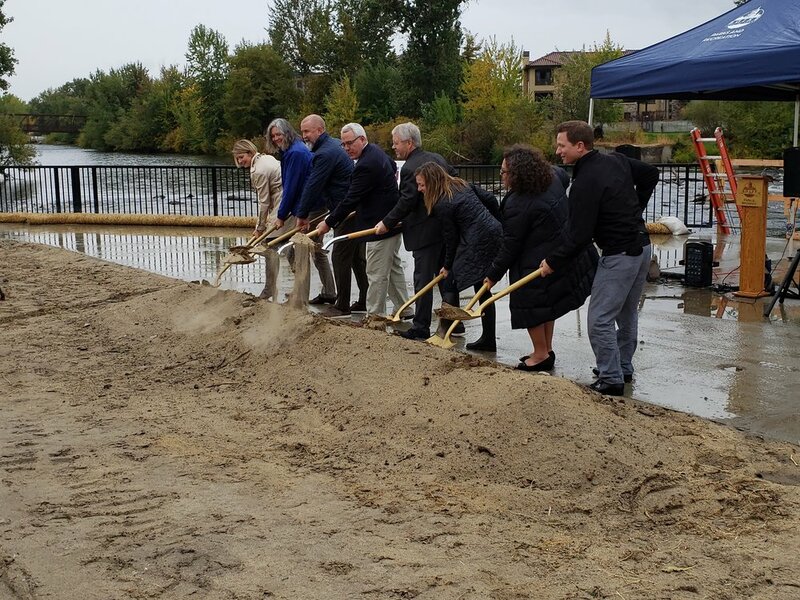 On October 4, Mayor, Council and Boise Parks and Recreation Director Doug Holloway attended the official groundbreaking of Phase II construction of the J.A. and Kathryn Albertson Family Foundation Whitewater Park. For more click here. 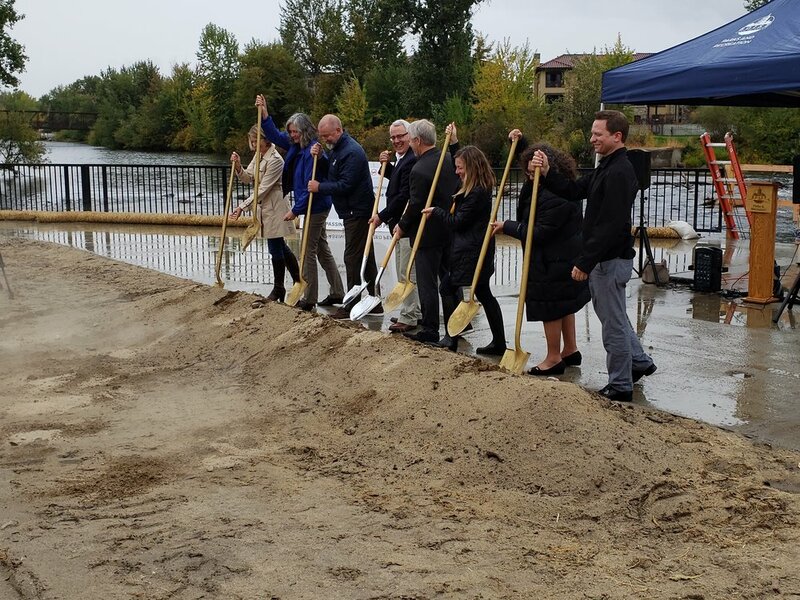 After successfully diverting the Boise River, McMillen Jacobs started in-stream excavation and building on-shore amenities. Progress in November was substantial with the completion (green coding) of drop structure 2 and more! Love the green areas and progress in December. Completion of drop structure 3 and rock terracing as well as river access and takeout area! As of March 6, 2019 river flows are set to increase this week and park staff will be implementing the daily switch schedule. 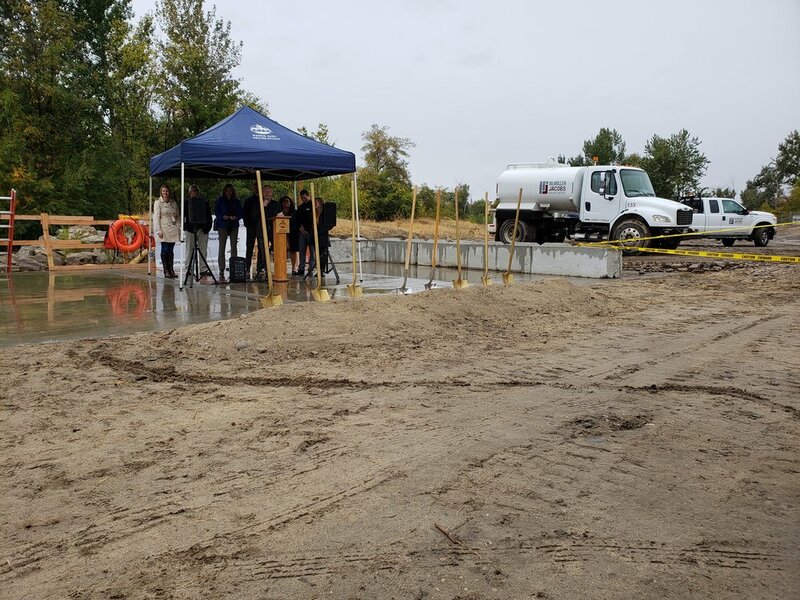 Please keep in mind that there will be park cleaning via flash board flushing, feature testing and data collecting regarding tail water correlations with Phase 2 head water. Because of this, the feature of the day may not be implemented until later in the afternoon on the days when water is released from Lucky Peak. Users should be aware that water increases are known to release debris that could then flow through the park as well. Thank you for your cooperation and patience as the season gets underway!